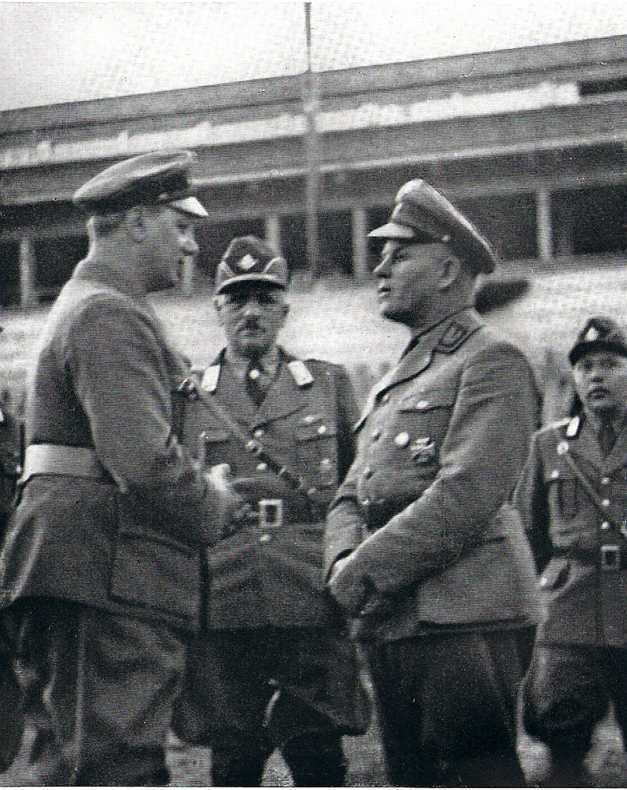 Background: The Gauleiter were the top Nazi regional leaders. There were 43 of them in 1941. 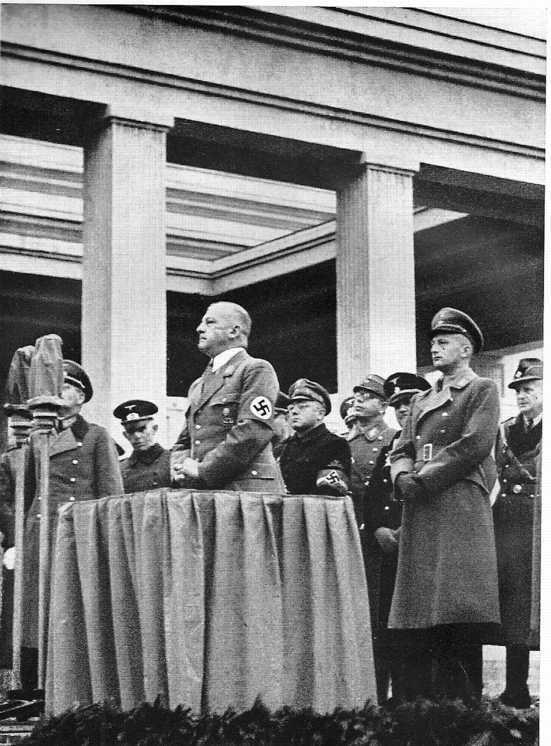 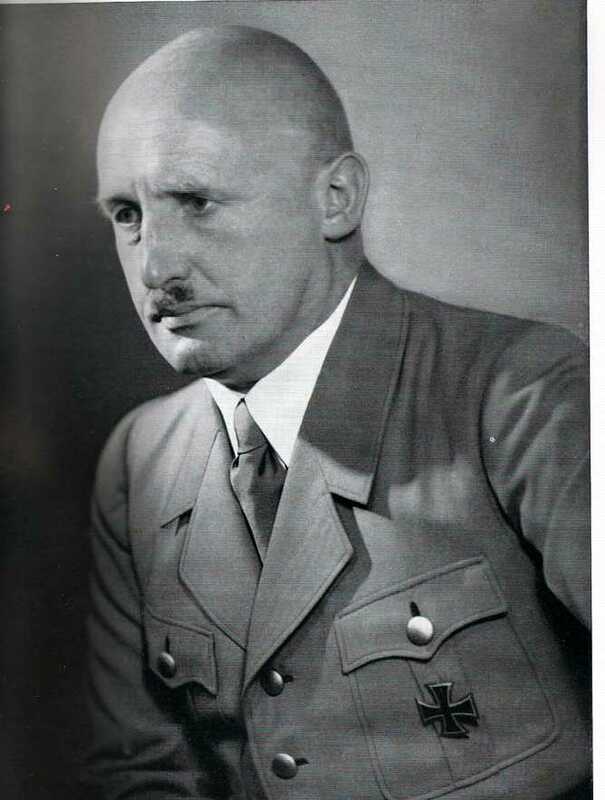 The illustrations in Column 1 are from Julius Streicher, Reichstagung in Nürnberg 1934 (Berlin: Vaterländischer Verlag C. A. Weller. 1934). 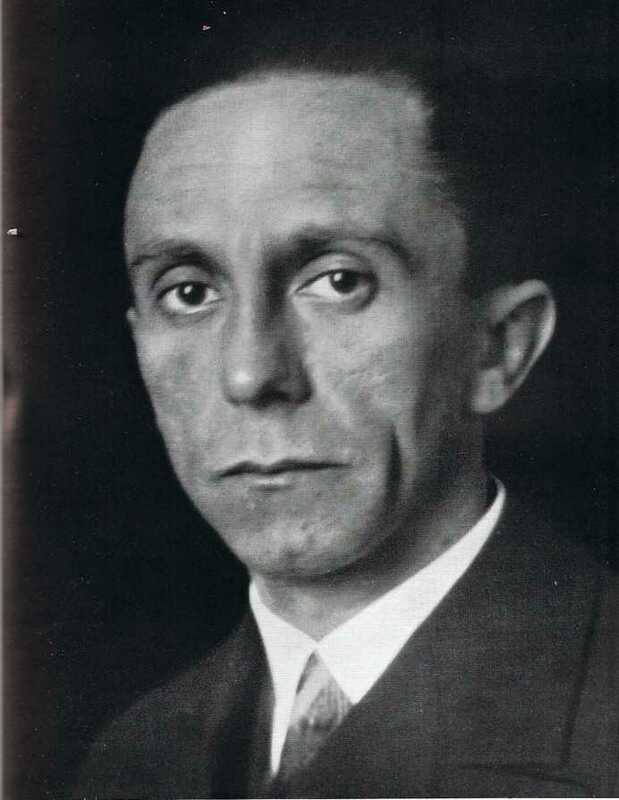 These were studio portraits. 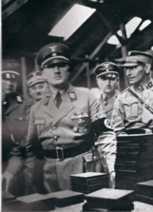 Those in Column 2 are from Das Buch der deutschen Gauen. Fünf Jahre nationalsozialistische Aufbauleistung (Bayreuth: Gauverlag Bayerische Ostmark, 1938). This was a book with a chapter on each Gau, usually with a picture of the Gauleiter. 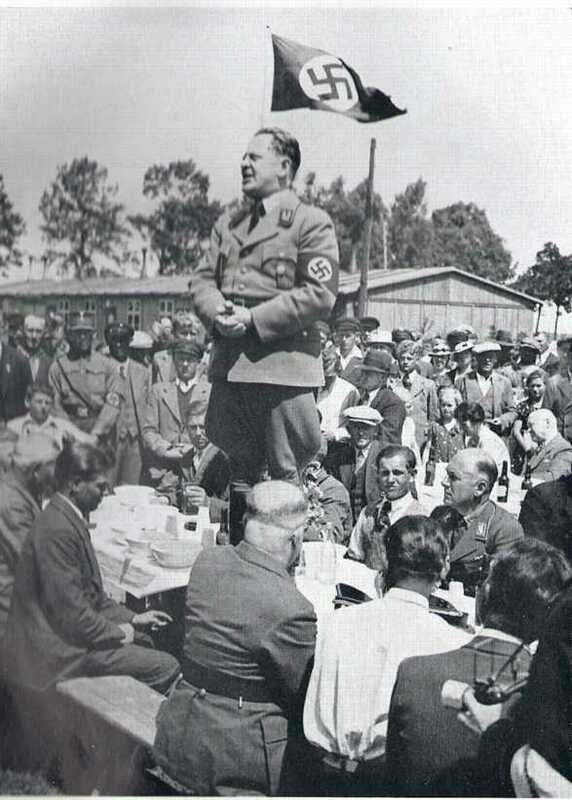 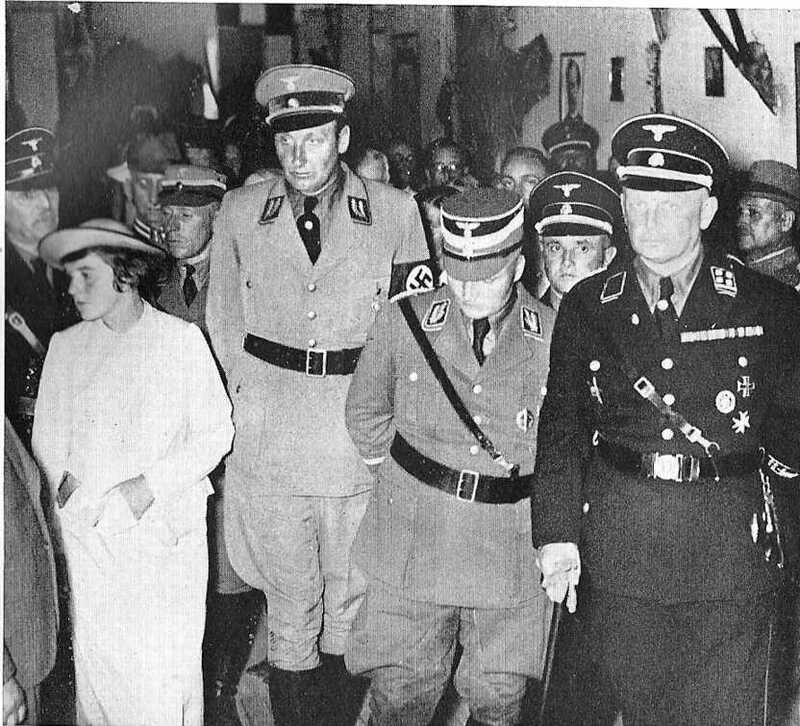 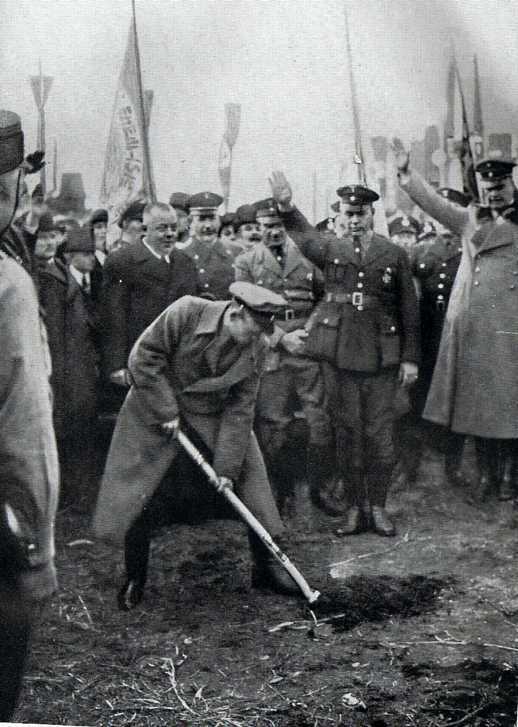 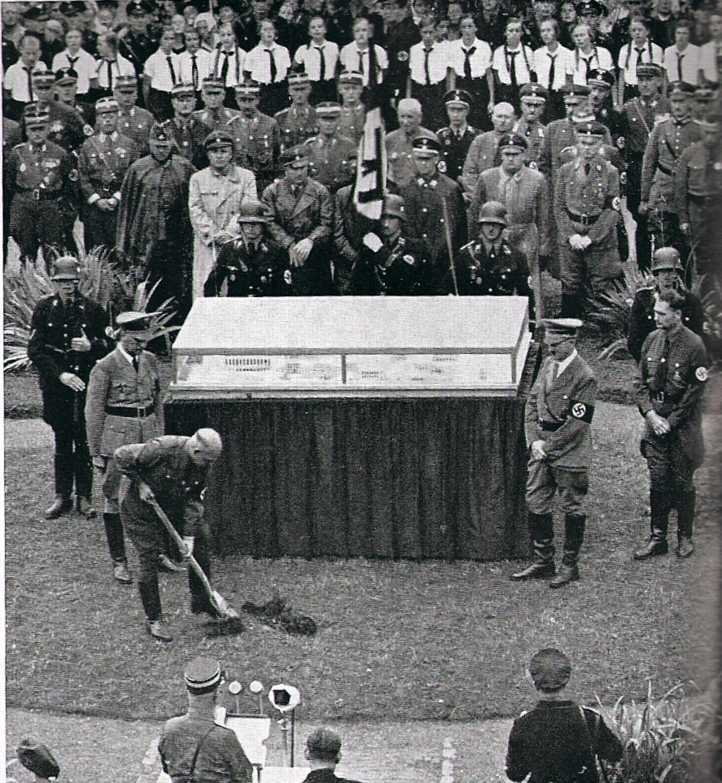 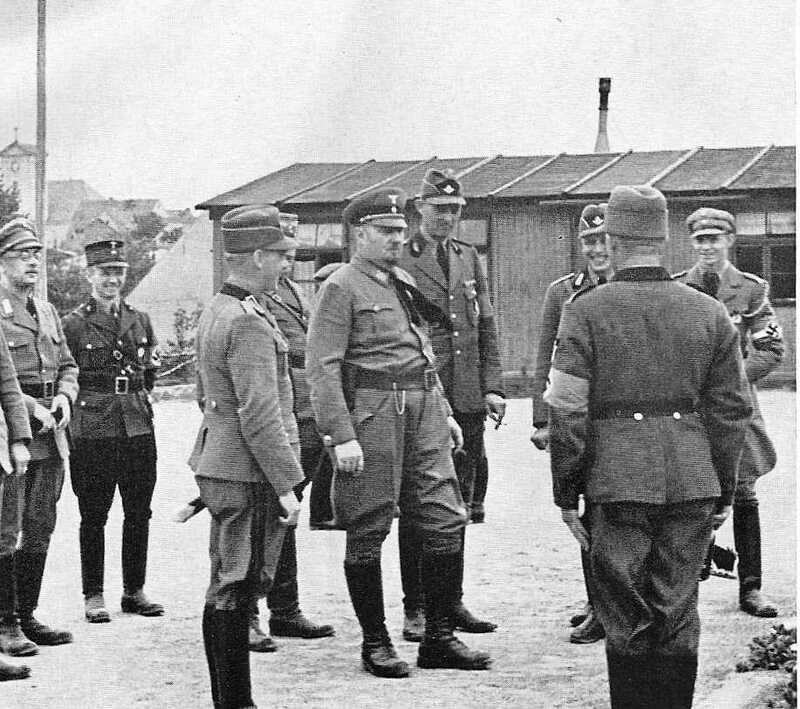 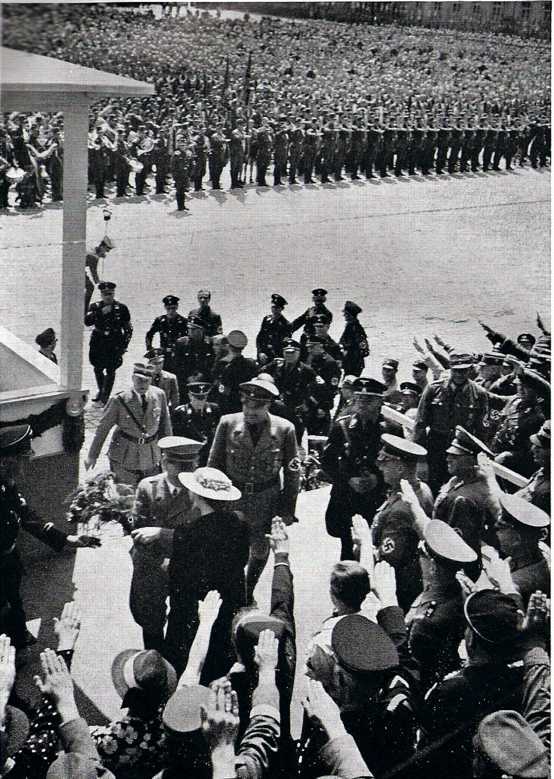 In most cases, the Gauleiter is shown doing something: giving a speech, visiting citizens, etc. 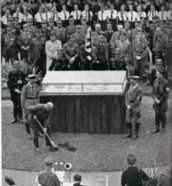 Column 3 has pictures from other sources. 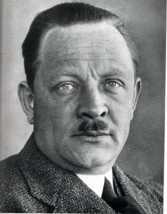 I take most of the biographical data from Axis Biographical Research. 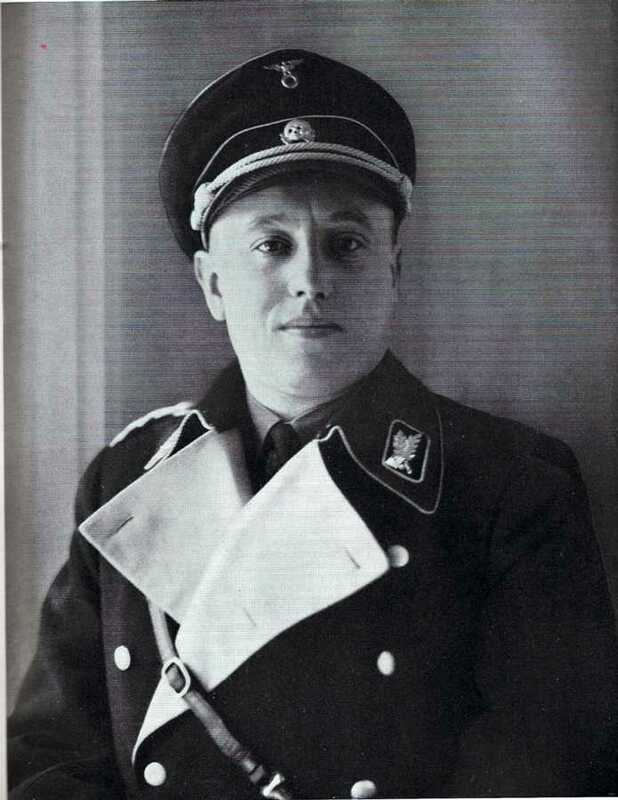 There is also a useful chart of Gauleiter on German Wikipedia. 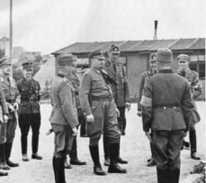 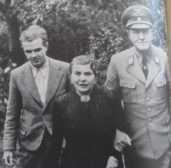 Other collections of Gauleiter photographs are available from the United States Holocaust Memorial Museum and the University of Bergen. 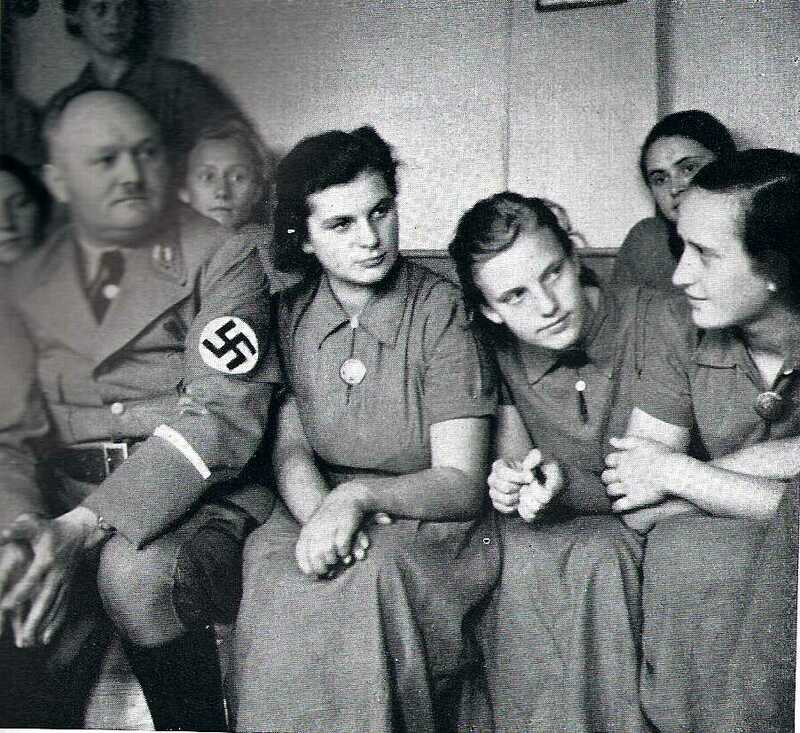 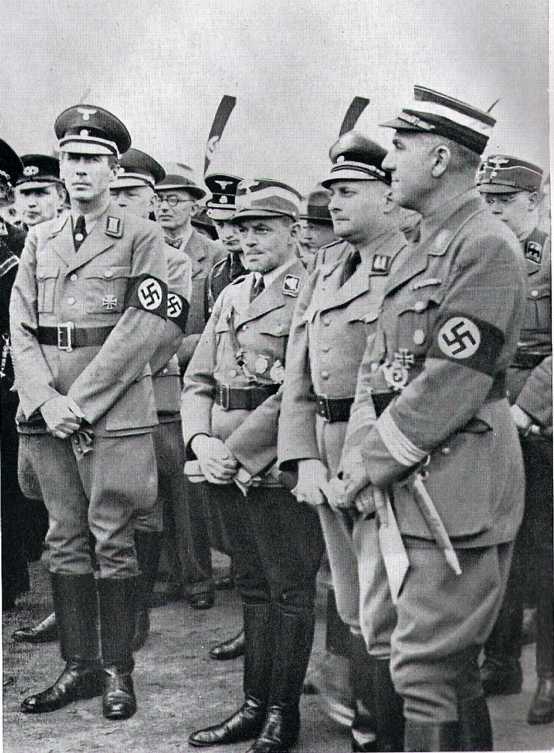 This is not a complete list of Gauleiter, and I'm not really aiming at one, but as I come across more pictures in my collection, I will add them. 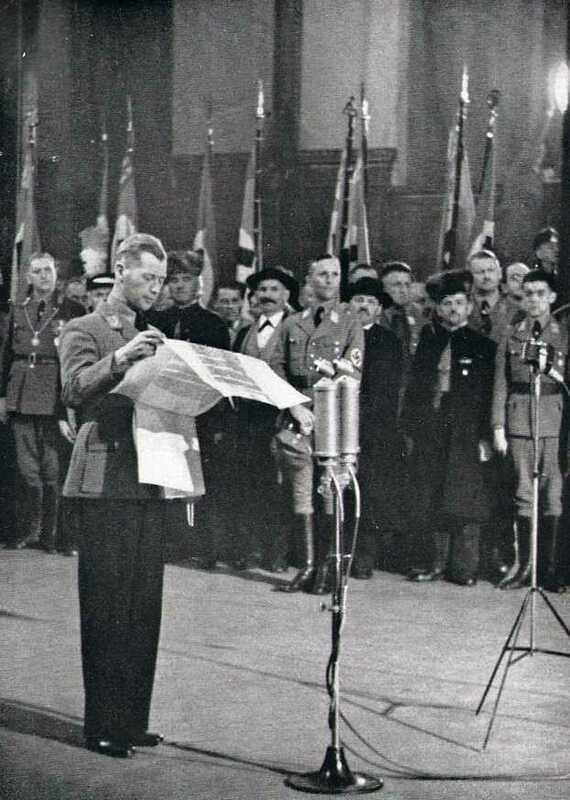 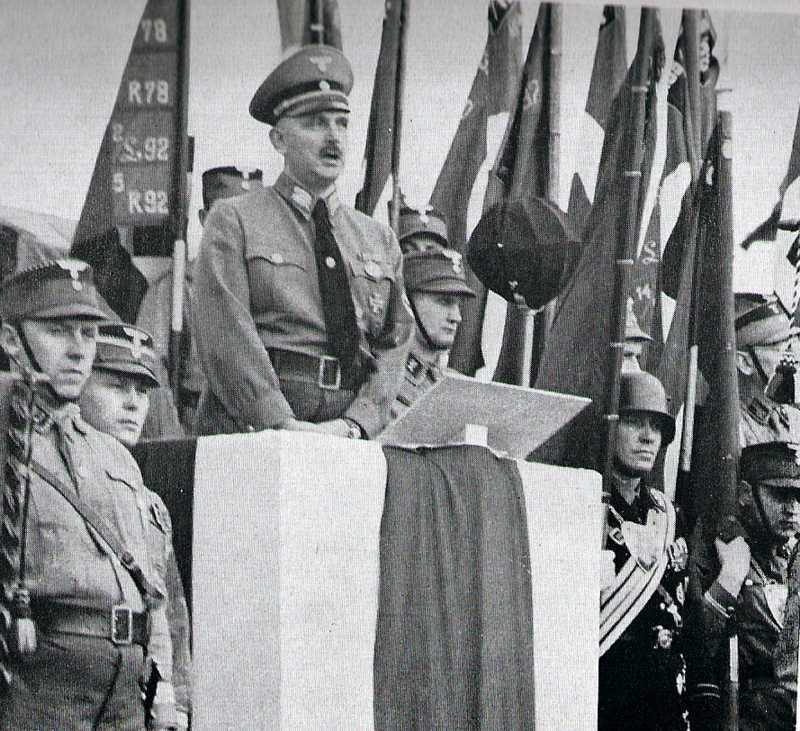 The GPA also has a slowly growing page of speeches and articles by Gauleiter. 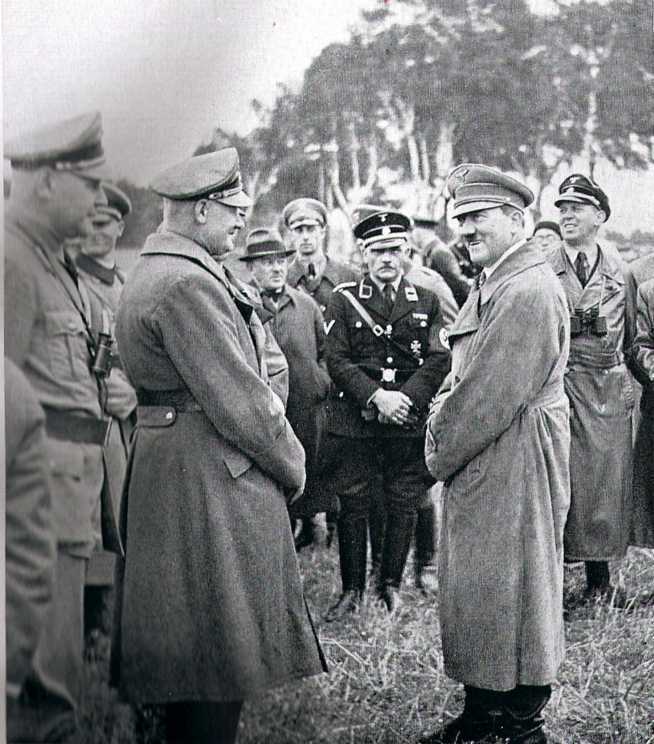 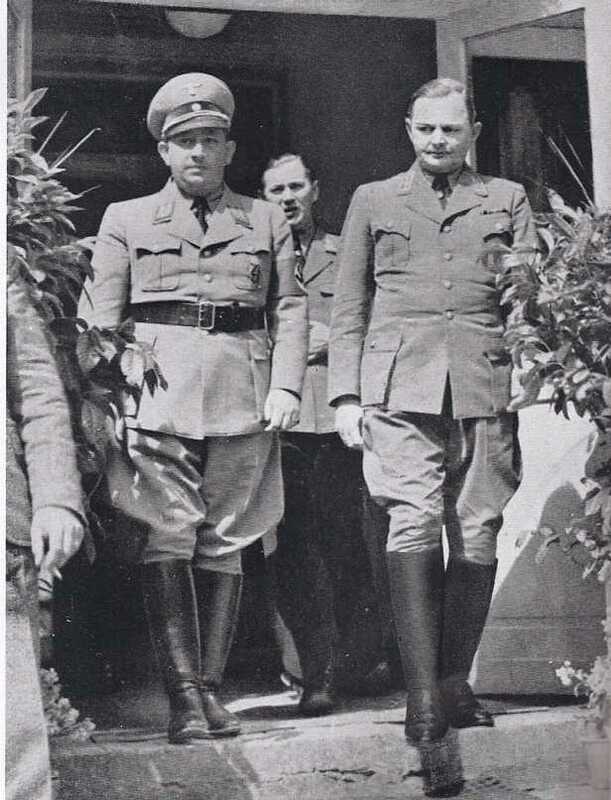 If you are particularly interested in the Nazi Gauleiter, you will want to secure a copy Michael D. Miller & Andreas Schutz, Gauleiter: The Regional Leaders of the Nazi Party and their Deputies, 1925-1945. The first of three planned volumes was published in 2012. 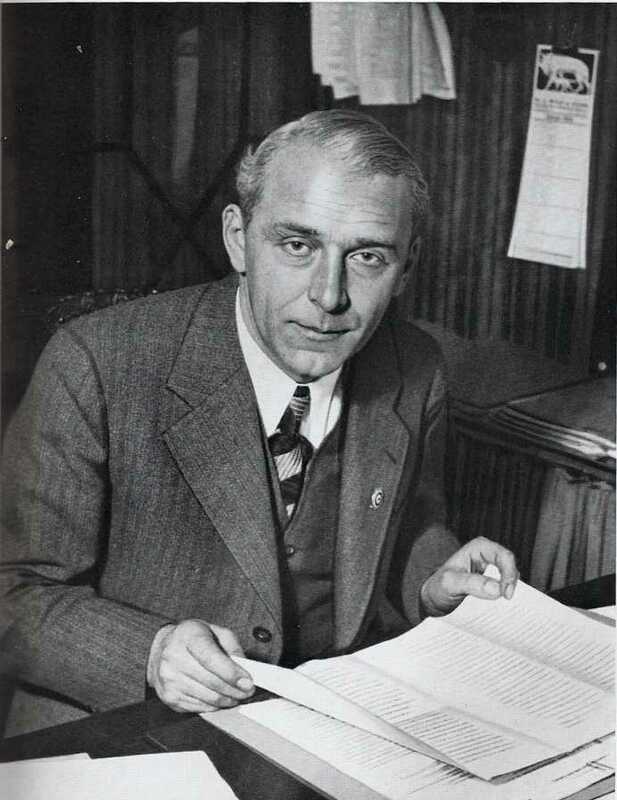 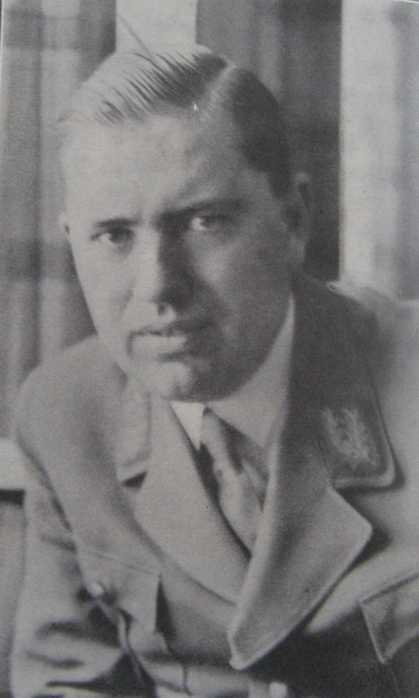 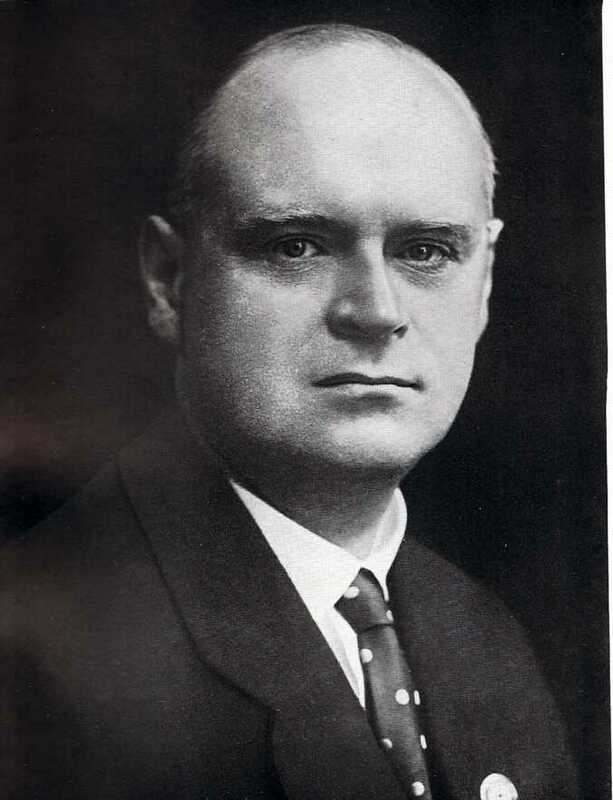 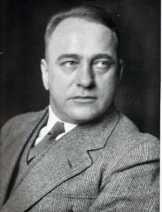 Helmuth Brückner was Gauleiter of Silesia (Schlesien) from 1925 to the end of 1934, at which point he was expelled from the NSDAP in connection with the Röhm affair. 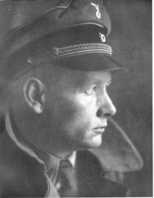 Josef Bürckel was Gauleiter of Saarpfalz (later renamed Westmark) from 1935 to 1944, when he committed suicide. 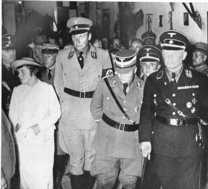 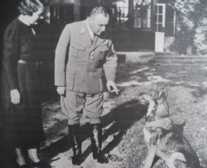 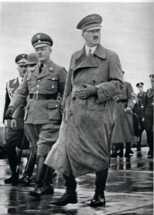 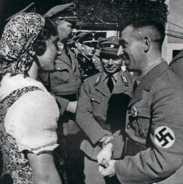 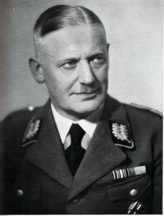 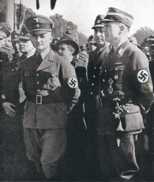 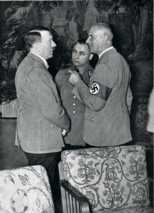 He also served as Gauleiter of Vienna from 1939-1940. Joachim Albert Eggeling was Gauleiter of Halle-Merseberg from 1937-1945. 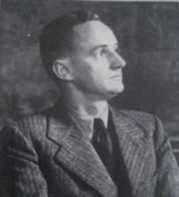 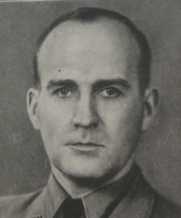 August Eigruber was Gauleiter of Oberdonau from 1938-1945. Picture source: Illustrierter Beobachter, #38/1938. 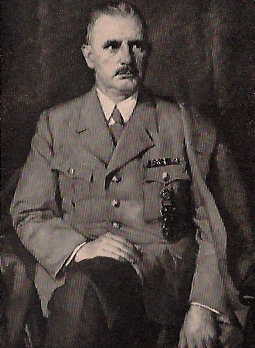 Friedrich Karl Florian was Gauleiter of Düsseldorf from 1930-1945. Albert Forster was Gauleiter of Danzig from 1930-1039, after which he headed Gau Danzig-Westpreußen until 1945. 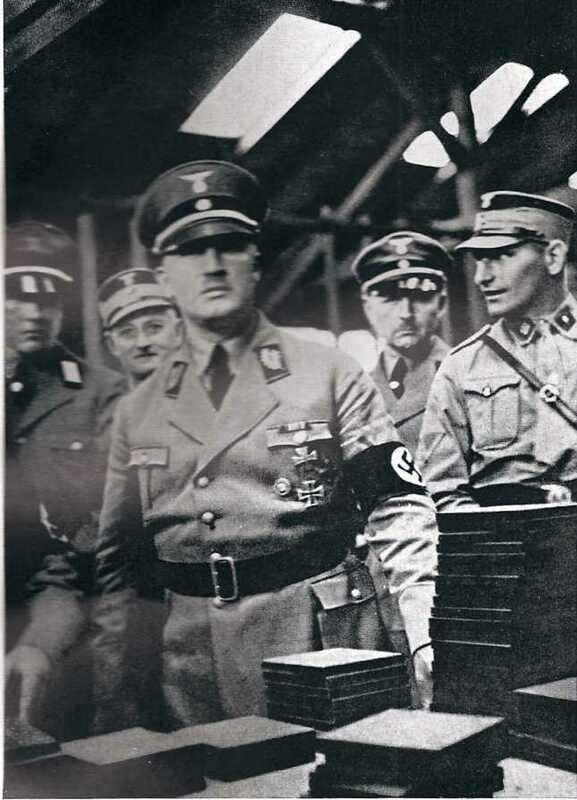 Third picture source: Illustrierter Beobachter, #45/1940. Picture source: Illustrierter Beobachter, #39/1938. 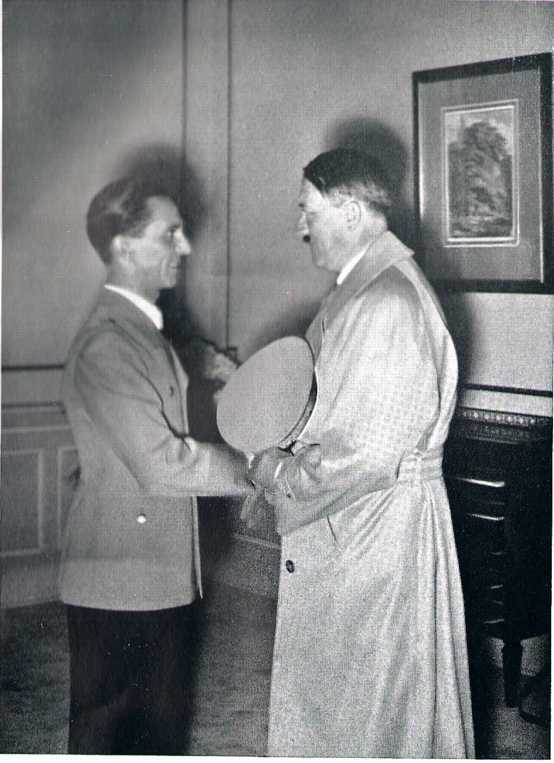 Joseph Goebbels, alongside his other positions, was Gauleiter of Berlin from 1926-1945. 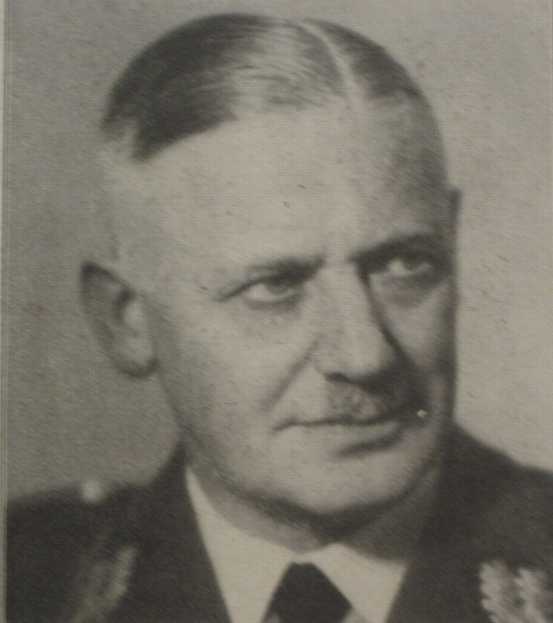 Joseph Grohé was Gauleiter of Köln-Aachen from 1931-1945. 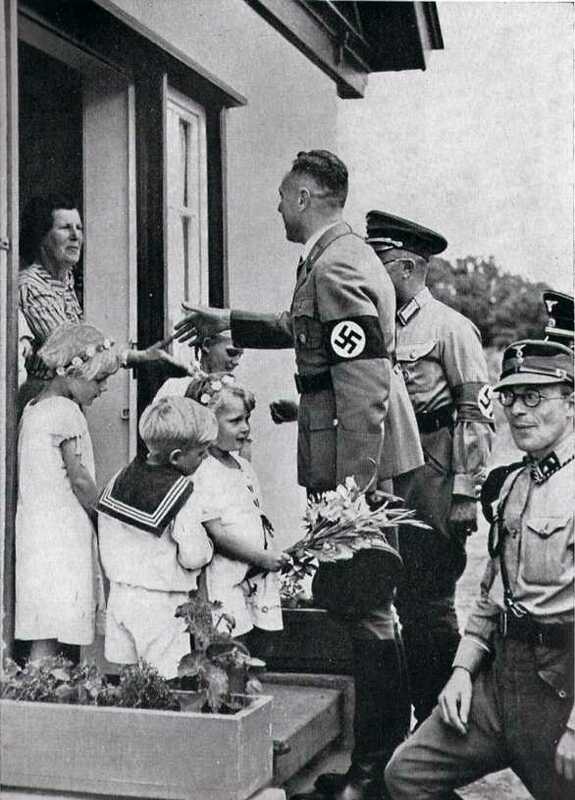 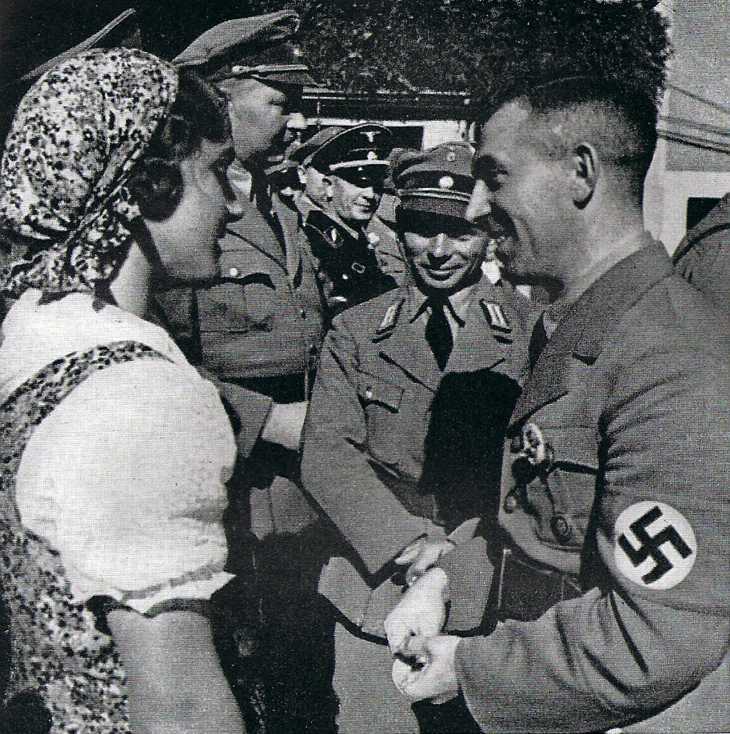 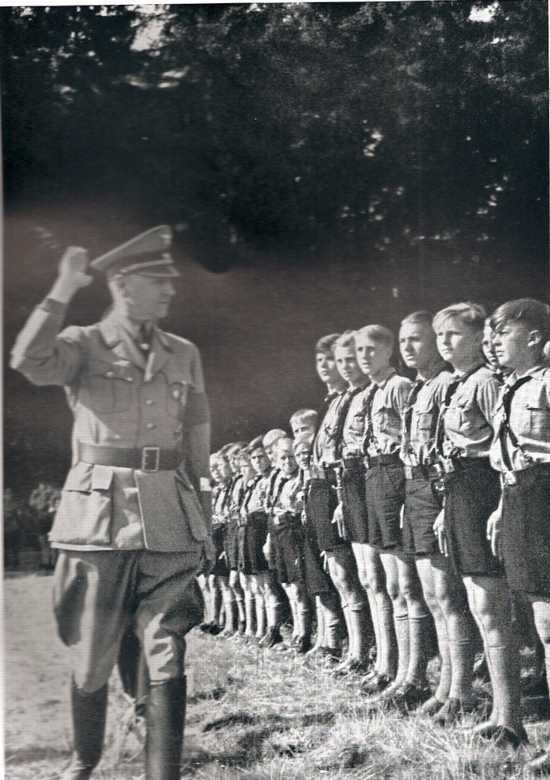 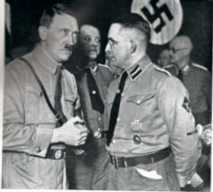 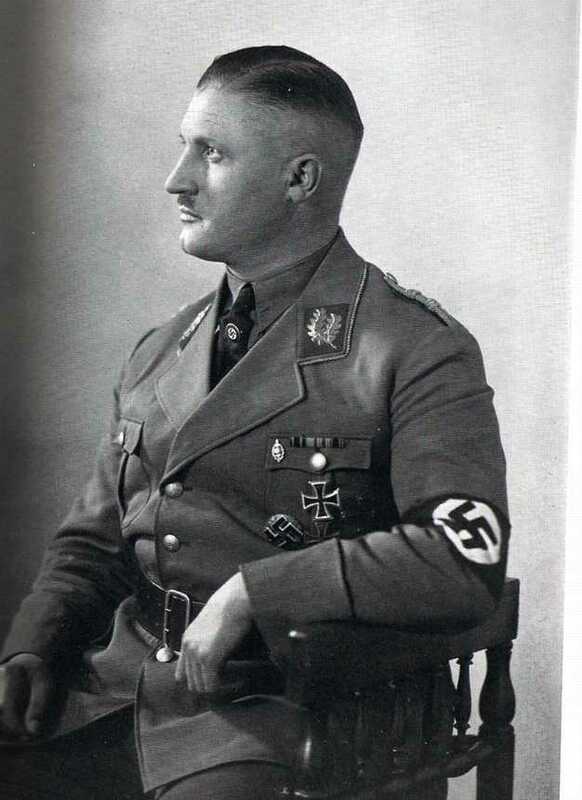 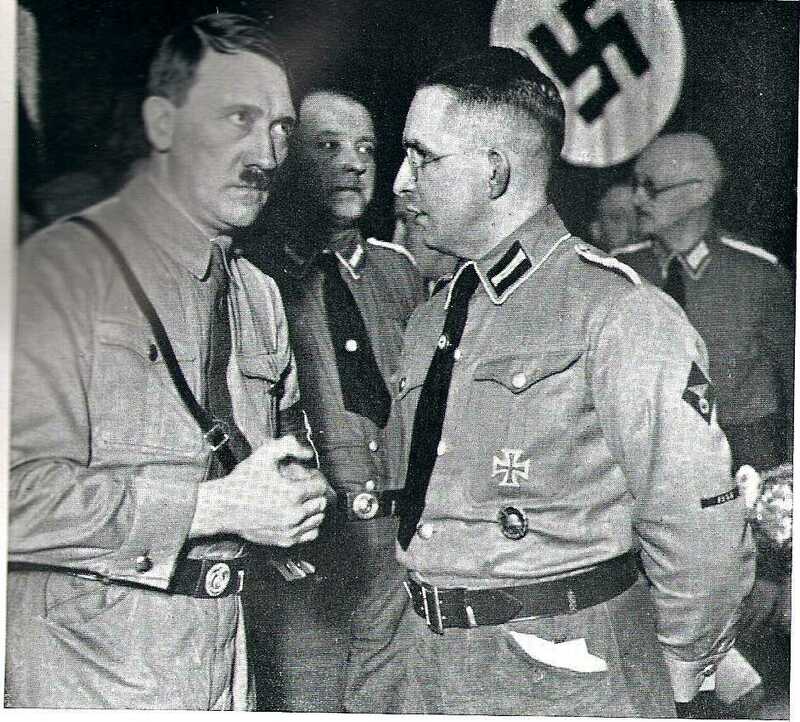 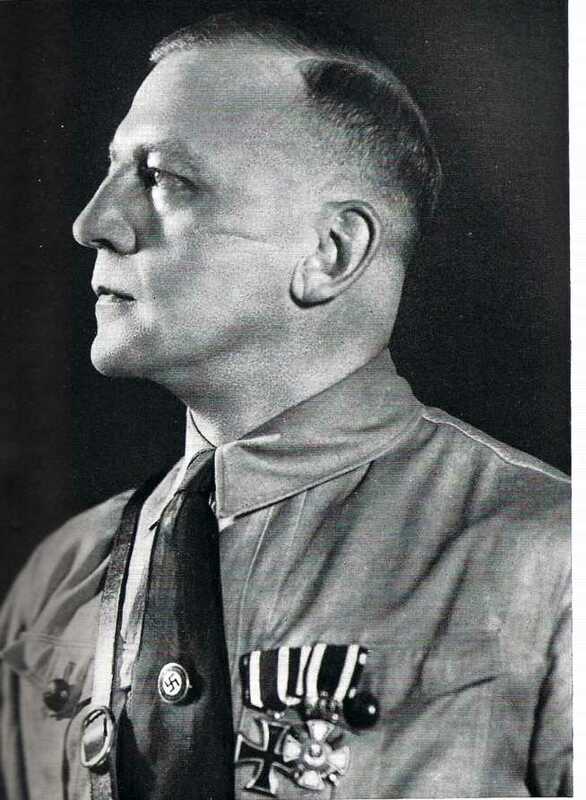 Third picture source: 20 Jahre Soldat Adolf Hitlers (Cologne: Verlag Westdeutscher Beobachter, 1941). 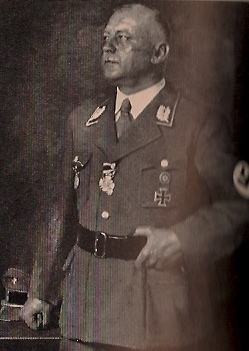 Karl Hanke was Gauleiter of Niederschlesien from 1941-1945. 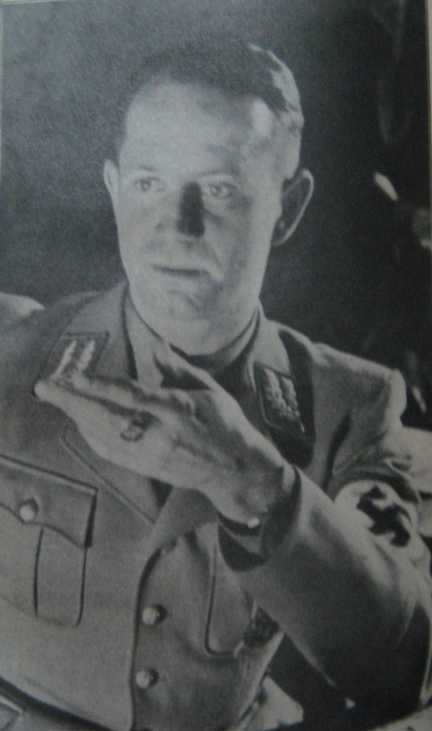 Picture source: Illustrierter Beobachter, #7/1941. 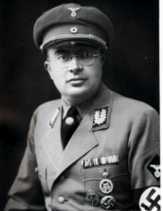 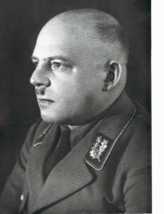 Otto Hellmuth was Gauleiter of Mainfranken from 1928-1945. Friedrich Hildebrandt was Gauleiter of Mecklenburg-Schwerin from 1925-1945. Franz Hofer was Gauleiter of Tirol from 1938-1945. 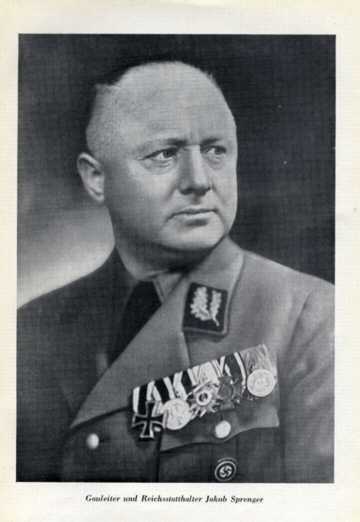 Picture source: Illustrierter Beobachter, #41/1938. 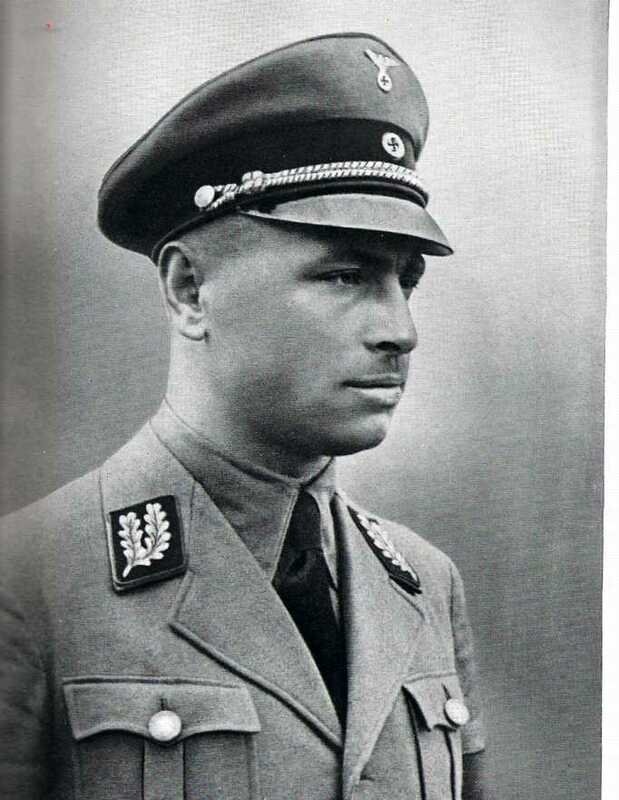 Rudolf Jordan was Gauleiter of Halle-Merseburg from 1931-1937. He then switched to Gau Magdeburg-Anhalt from 1937-1945. 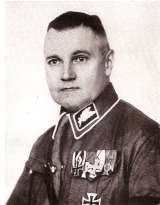 Hugo Jury was Gauleiter of Niederdonau from 1938-1945. 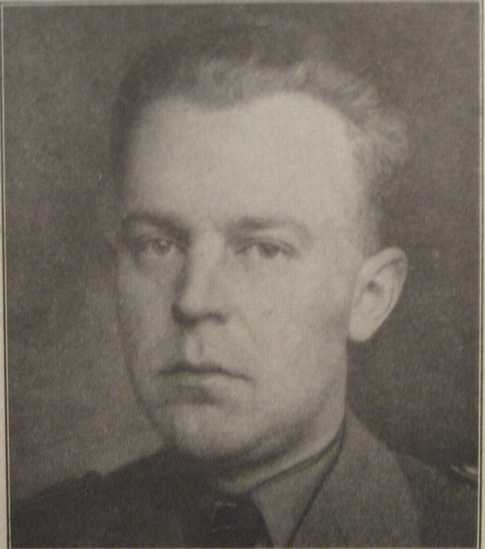 Picture source: Illustrierter Beobachter, #43/1938. 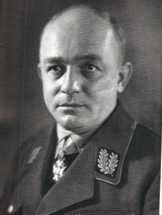 Karl Kaufmann was Gauleiter of Hamburg from 1929-1945. 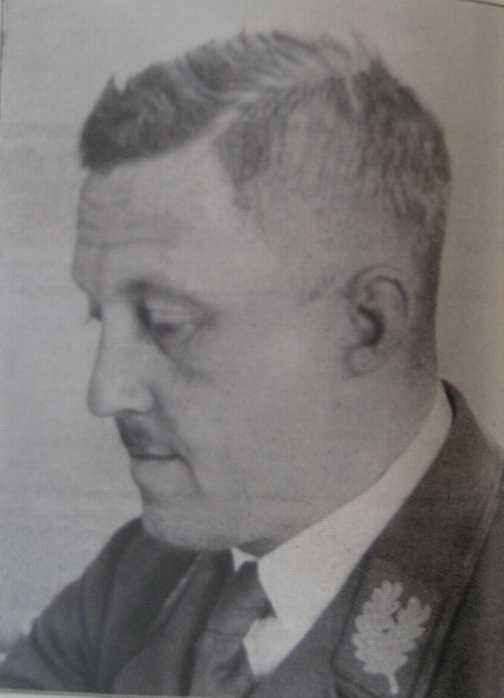 Hubert Klausner was Gauleiter of Kärnten from 1938 until his death in 1939. 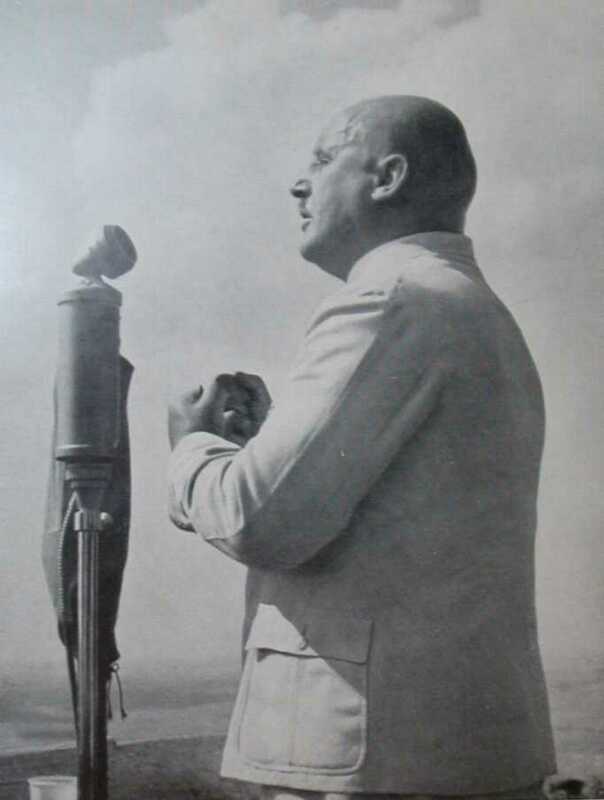 Picture source: Illustrierter Beobachter, #44/1938. 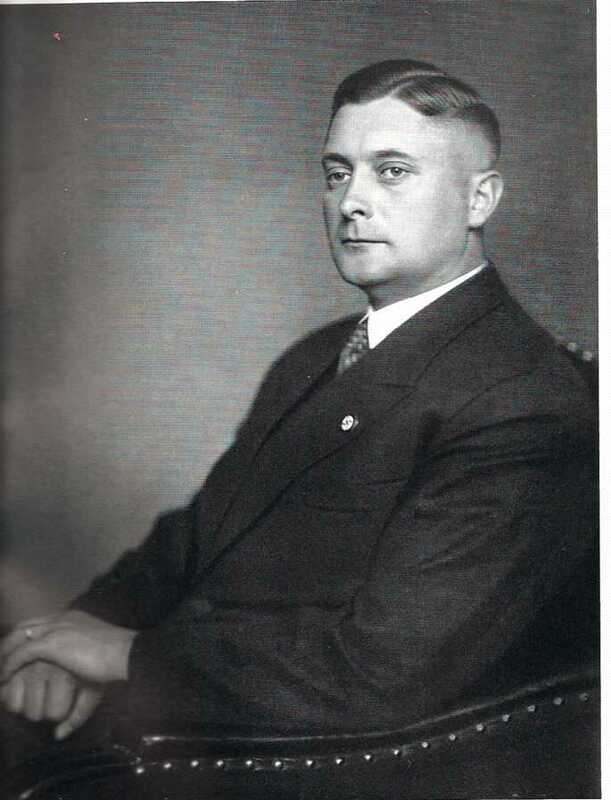 Erich Koch was Gauleiter of Ostpreußen from 1929-1945. 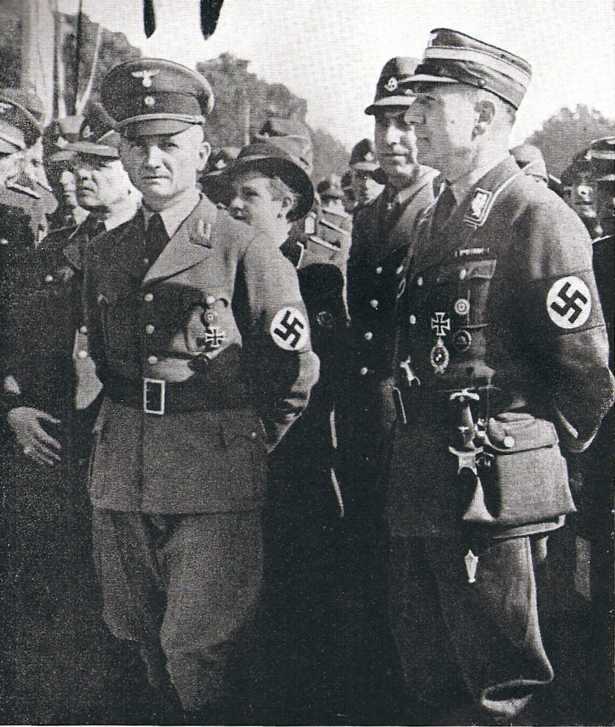 Third picture source: Der Schulungsbrief, #3-4/1941. 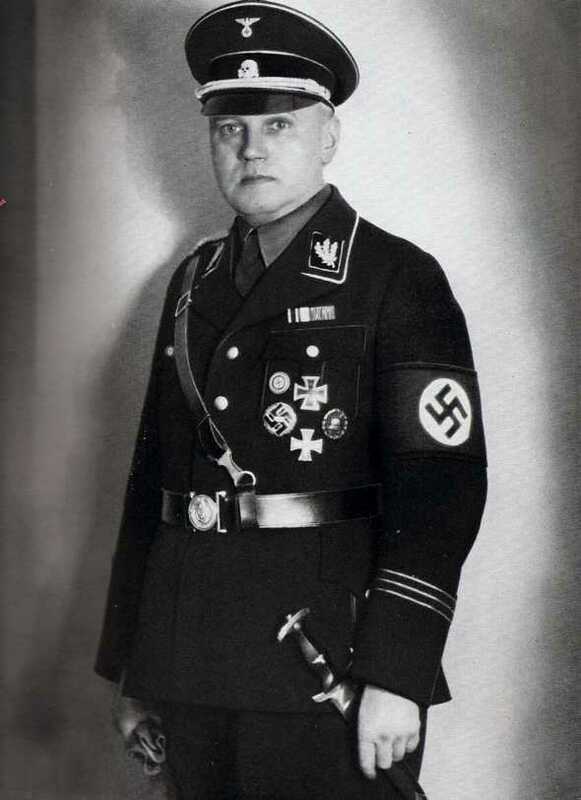 Wilhelm Kube was Gauleiter of Kurmark from 1933-1936. 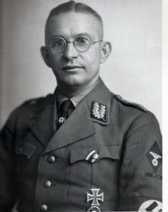 Hartmann Lauterbacher was Gauleiter of Südhannover-Braunschweig from late 1940-1945. Picture source: Illustrierter Beobachter, #52/1940. 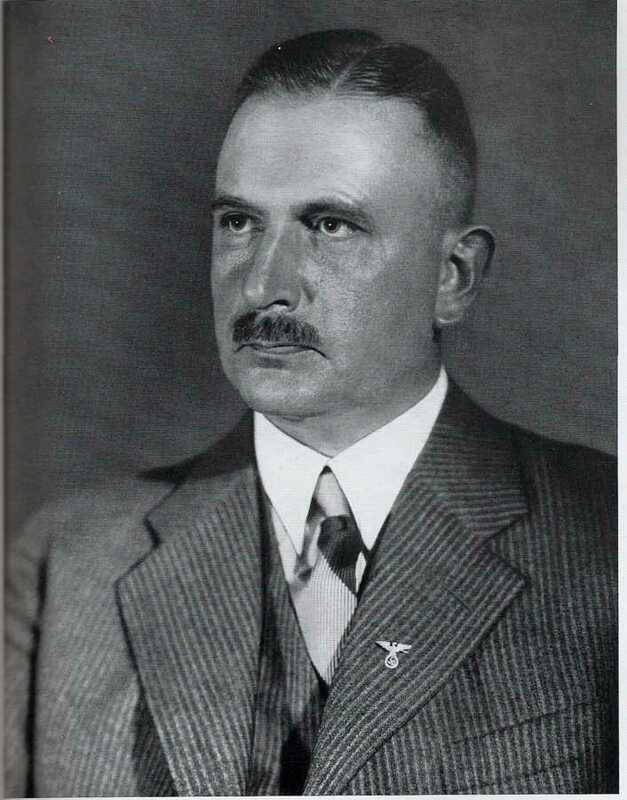 Wilhelm Friedrich Loeper was Gauleiter of Magdeburg-Anhalt from 1929 to his death in 1935. 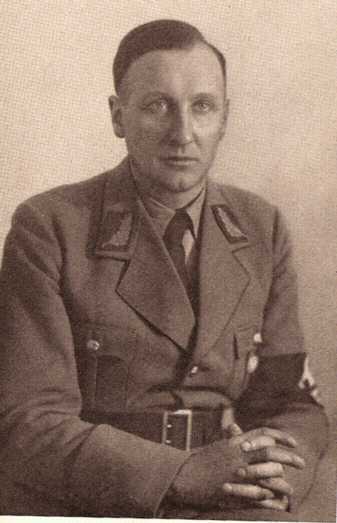 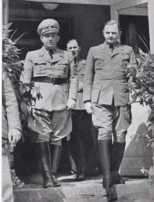 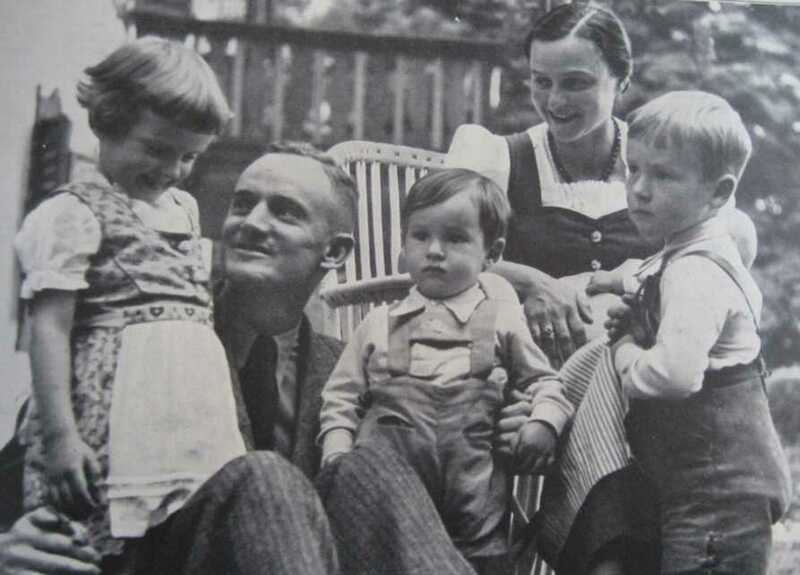 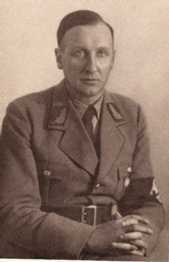 Hinrich Lohse was Gauleiter of Schleswig-Holstein from 1925-1945. 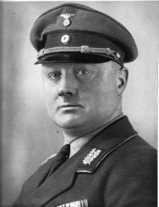 Alfred Meyer was Gauleiter of Westfalen-Nord from 1931-1945. Wilhelm Murr was Gauleiter of Würrtemberg from 1928-1945. Martin Mutschmann was Gauleiter of Sachsen from 1925-1945. 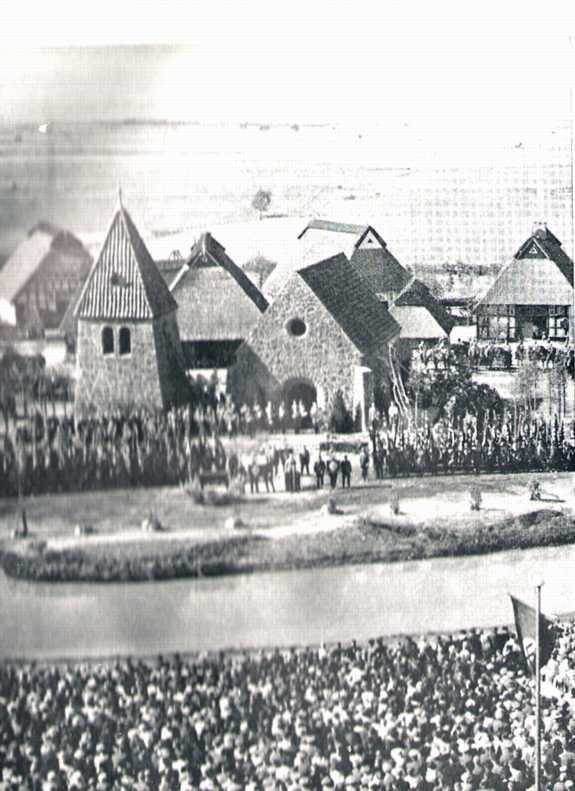 Second picture source: Der Gau Sachsen (Dresden: Kommunal-Verlag Sachsen, 1939). 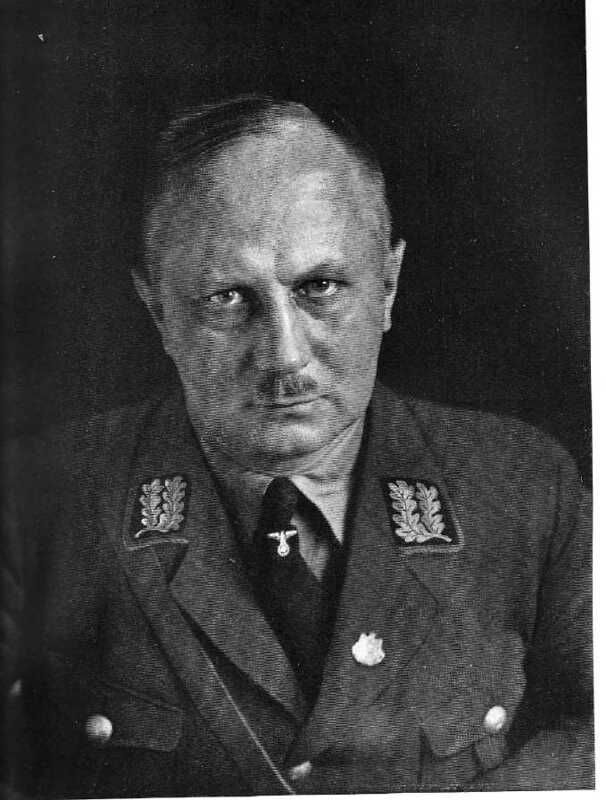 Friedl Rainer was Gauleiter of Salzburg from 1940 to 1941, and of Gau Kärnten from 1941-1945. 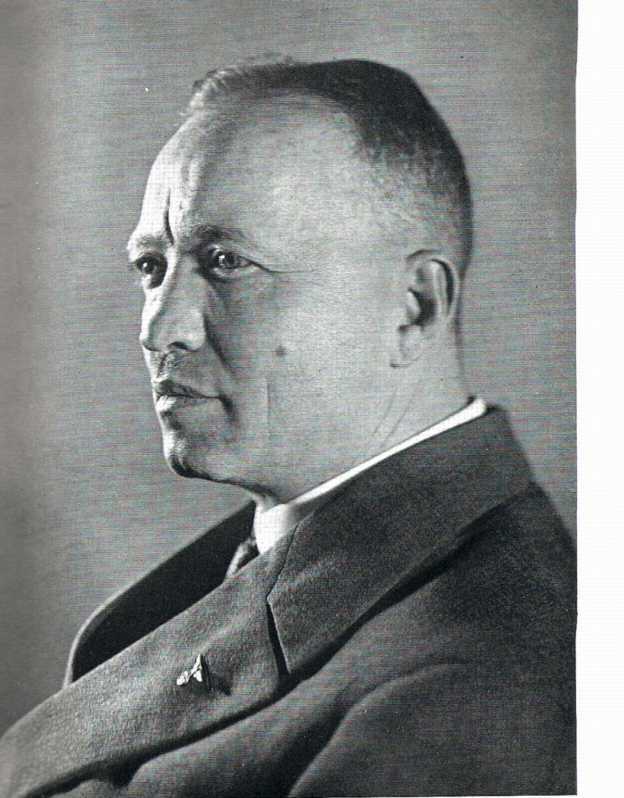 Picture source: Illustrierter Beobachter, #45/1938 (both). 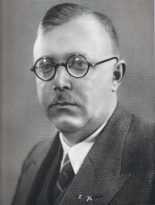 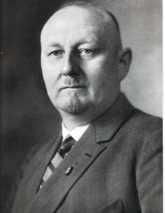 Carl Röver was Gauleiter of Weser-Ems from 1928 to his death in 1942. Bernard Rust was Gauleiter of Süd-Hannover-Braunschweig from 1928-1940. 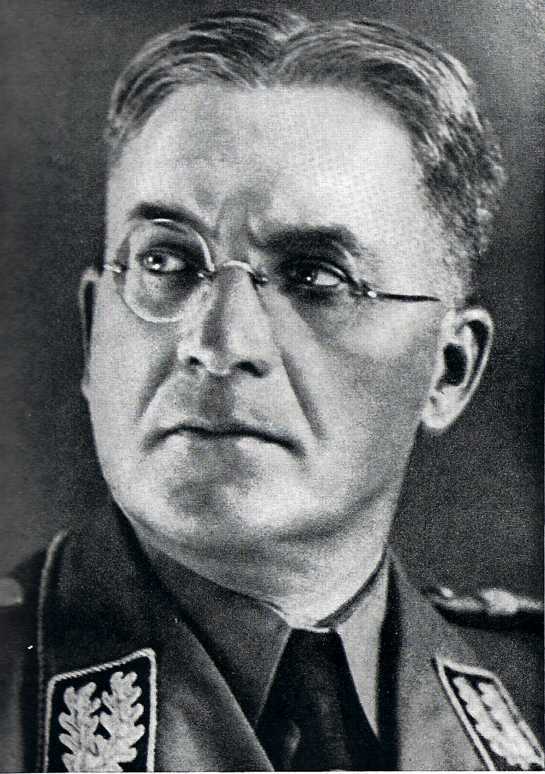 Column 3 source: A painting in Der Hoheitsträger, September 1939. 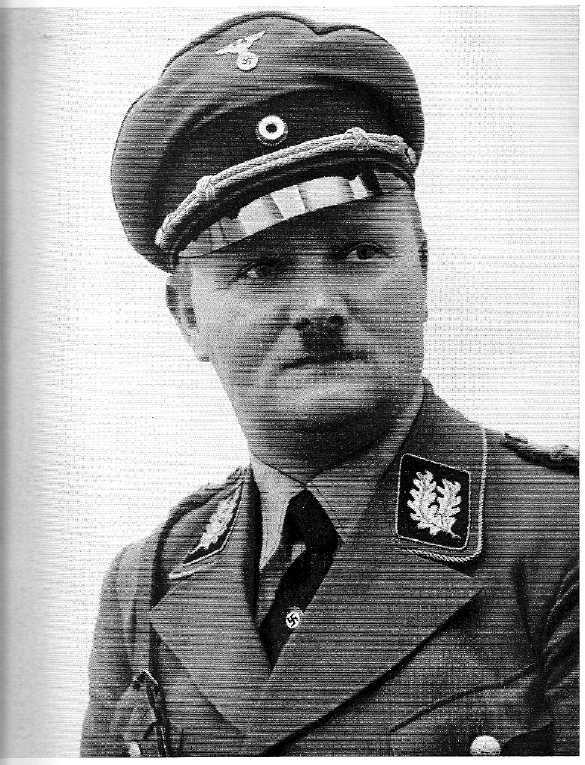 Fritz Sauckel was Gauleiter of Thüringen from 1927-1945. 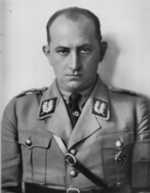 Hans Schemm was Gauleiter of Bayerische Ostmark until his death in 1935. Column 3 source: Hans Schemm spricht (Bayreuth: Gauverlag Bayerische Ostmark, 1935). 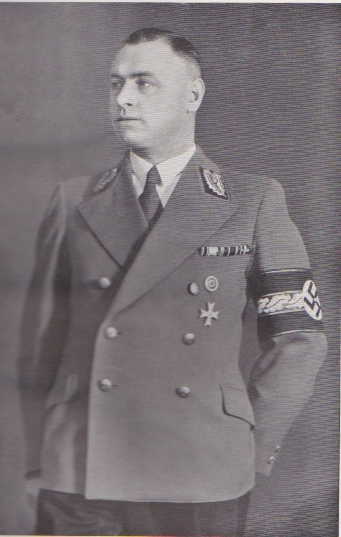 Franz Schwede-Coburg was Gauleiter of Pommern from 1934-1945. Gustav Simon was Gauleiter of Koblenz-Trier (later Moselland) from 1931-1945. 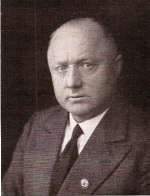 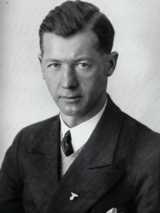 Jakob Sprenger was Gauleiter of Hessen-Nassau from 1933-1945. 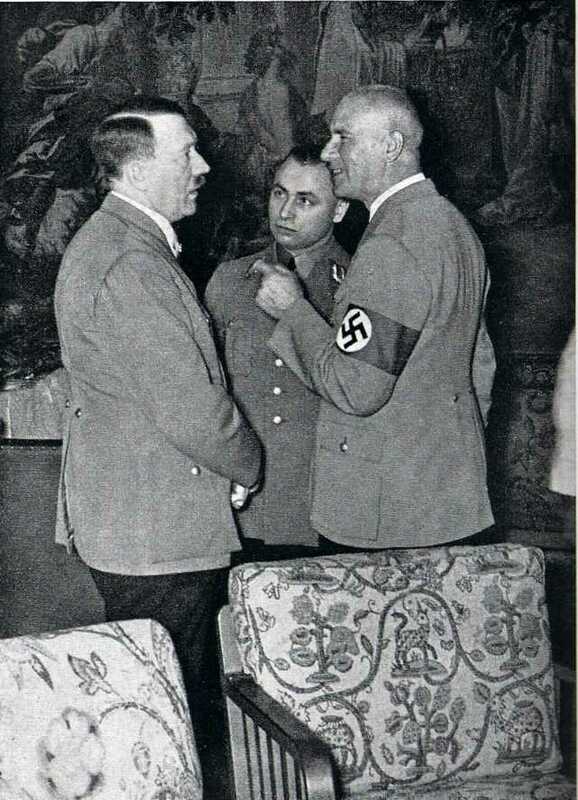 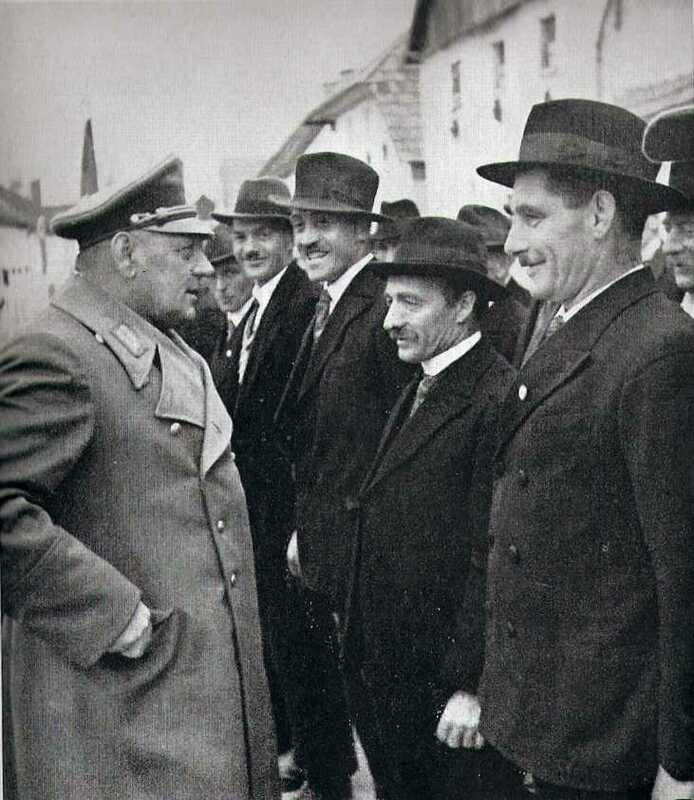 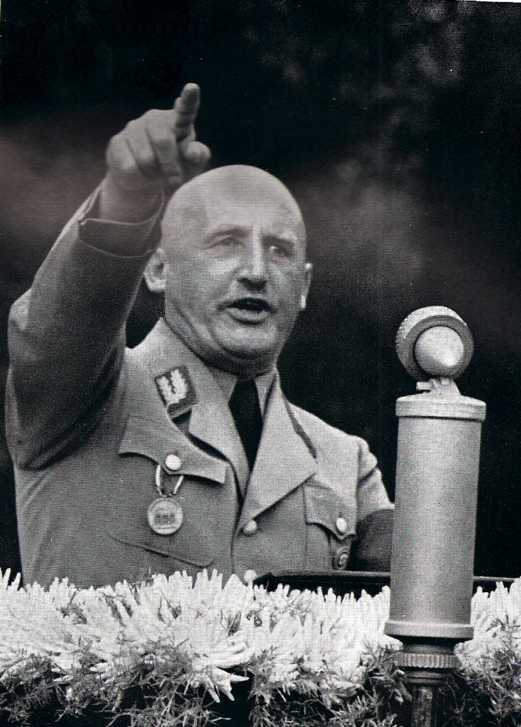 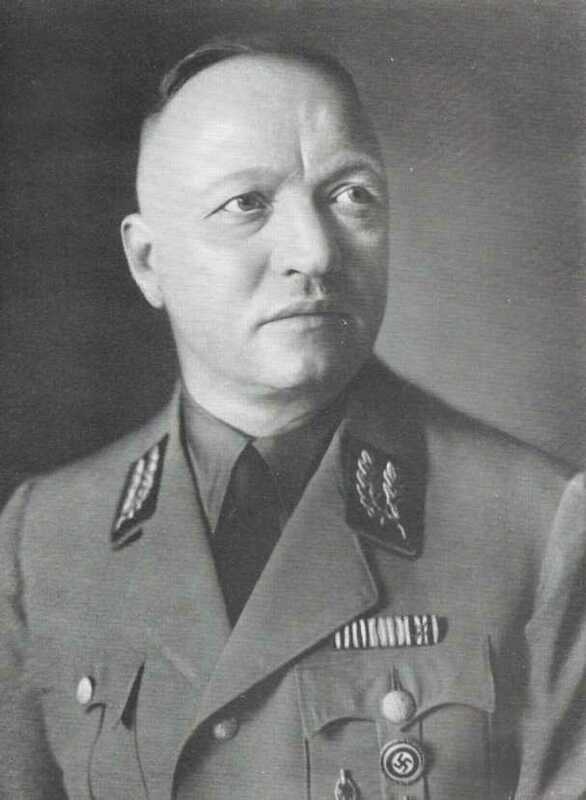 Julius Streicher was Gauleiter of Franken from 1929-1940, when he was relieved of his duties for substantial financial irregularities after Kristallnacht in November 1938. 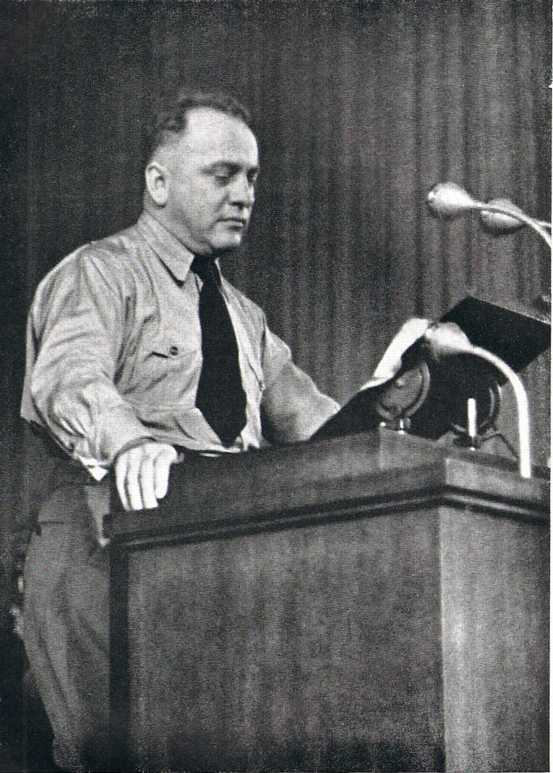 Column 3 source: Kampf dem Weltfeind, a 1938 collection of Streicher's speeches. Emil Stürtz was Gauleiter of Mark Brandenburg from 1936-1945. 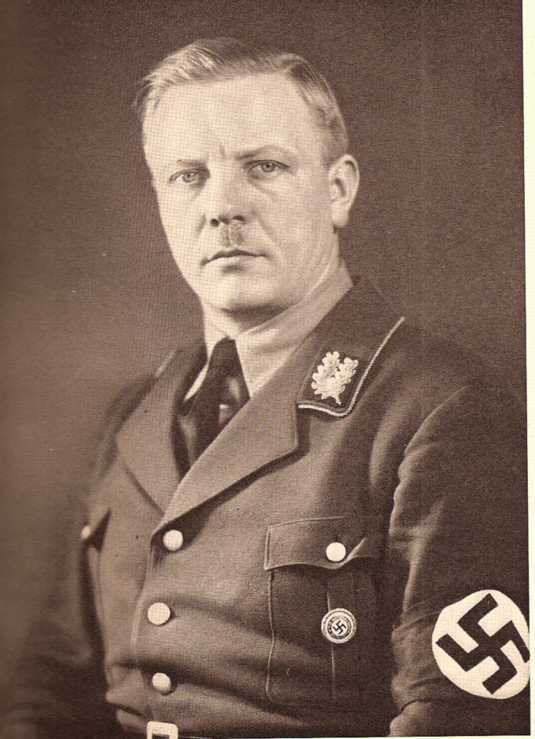 The third picture is from Kampf und Sieg, a 1938 history of Gau Westfalen-Süd. 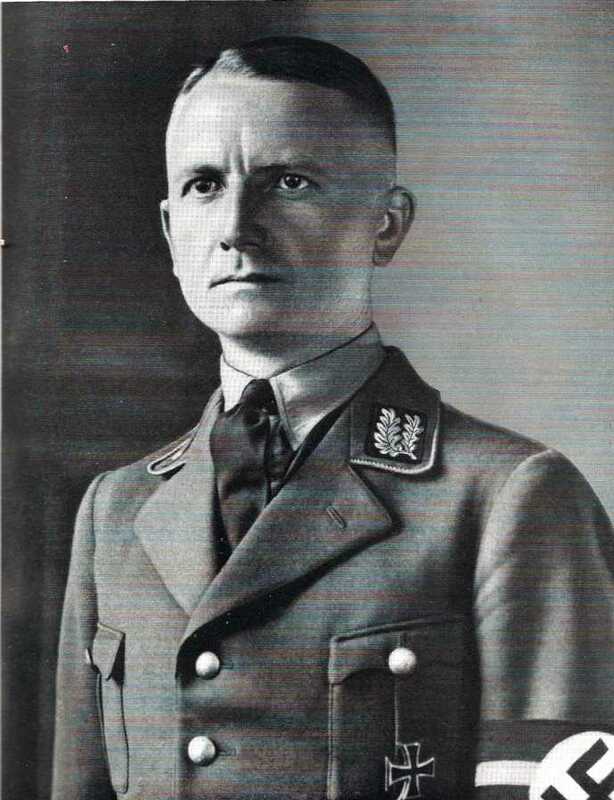 It is pre-1933, before he was a Gauleiter. 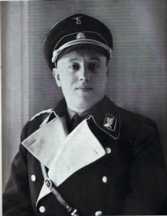 Otto Telschow was Gauleiter of Ost-Hannover from 1928-1945. 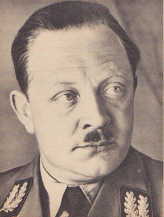 Third picture source: Illustrierter Beobachter, #8/1941. 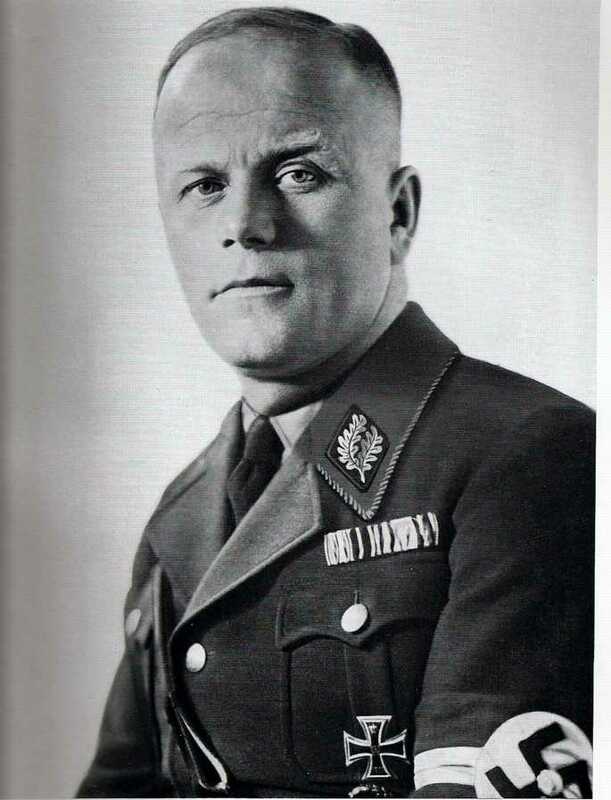 Josef Terboven was Gauleiter of Essen from 1928-1945, though he was the Nazi chief of Norway after 1940. 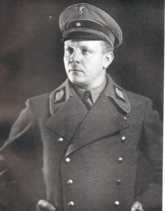 Siegfried Uiberreither was Gauleiter of Steiermark from 1938-1945. 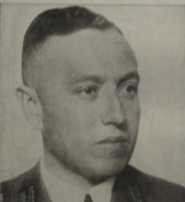 Picture source: Illustrierter Beobachter, #45/1938. 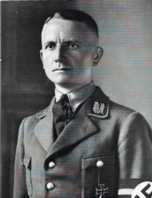 Fritz Wächtler was Gauleiter of Bayerische Ostmark from 1935-1945. Adolf Wagner was Gauleiter of München-Oberbayern from 1929 to his death in 1944. 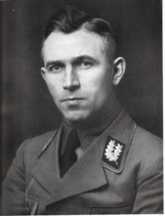 Josef Wagner was Gauleiter of Westfalen (later Westfalen-Süd) from 1928-1934, and of Schlesien from 1934-1940. 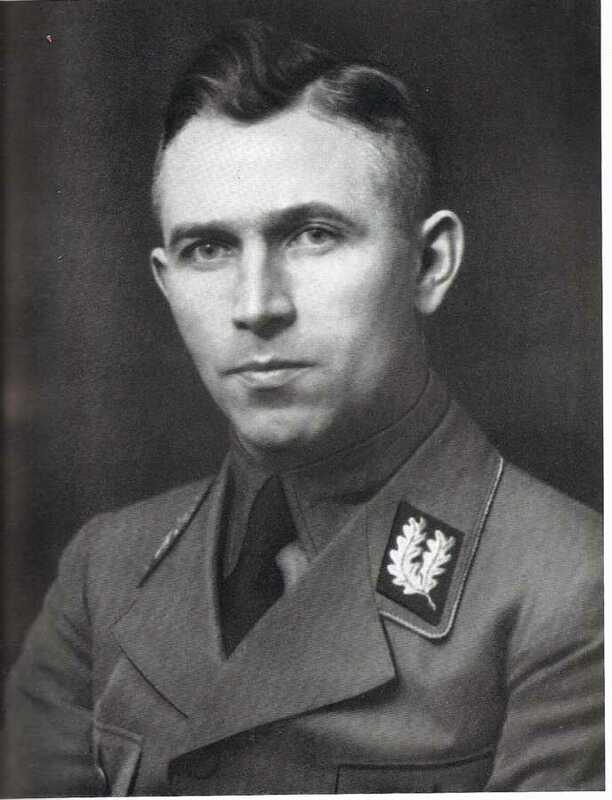 The third picture is from Kampf und Sieg, a 1938 history of Gau Westfalen-Süd. 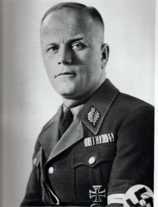 Robert Wagner was Gauleiter of Baden from 1933-1945. Karl Wahl was Gauleiter of Schwaben from 1928-1945. 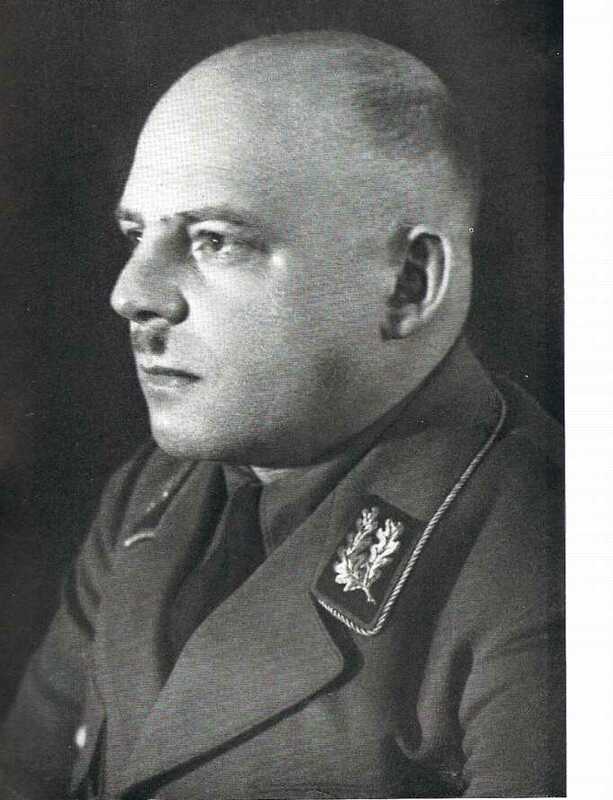 Karl Weinrich was Gauleiter of Kurhessen from 1934-1943, when he was relieved for lack of bravery during an Allied bombing raid (he apparently stayed in the countryside until the raid was over, then hurried to see if his property had suffered in the attack).